Billion of connected devices are announced in 2020. This could cause a major revolution in ambient intelligence if we can formulate appropriate architectures to process the massive data that will be produced or required by these devices. The manager should act at the IaaS, PaaS and SaaS layer of the cloud. One of the principal challenges here will consist in handling the execution context of the environment in which the cloud of things operate. Indeed, unlike classical resource managers, connected devices imply to consider new types of networks, execution supports, sensors and new constraints like human interactions. The great mobility and variability of these contexts complexify the modelling of the quality of service. To face this challenge, we intend to innovate in designing scheduling and data management systems that will use machine learning techniques to automatically adapt their behaviour to the execution context. Adaptation here requires a modelling of the recurrent cloud of things usages, the modelling of the physical cloud architecture, as well dynamically. 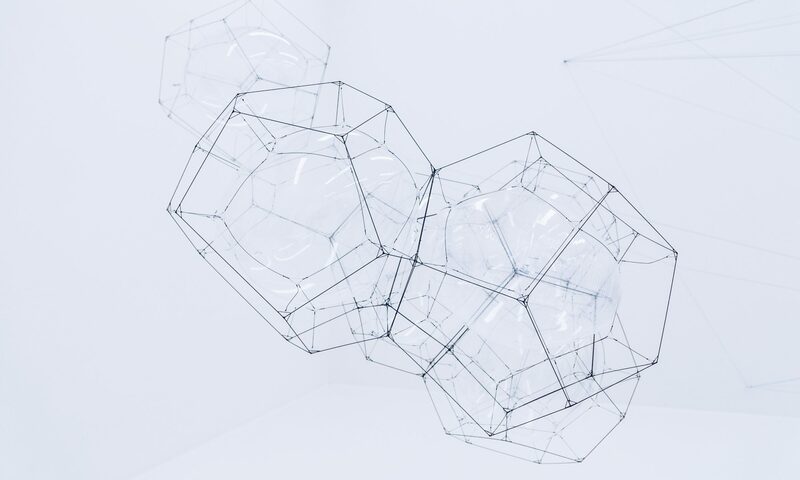 From a scientific point of view, the GRECO project establishes the theoretical and practical foundations for the formulation of distributed resource management systems for clouds of things and, more broadly, distributed clouds at the edge of the network (Fog / Edge Computing). Indeed, the integration of connected devices generates new industrial practices and processes, it is therefore necessary to propose actual solutions to this new generation of applications. In addition, the increase in local data production due to such cloud of things will impose to work on disruptive scheduling techniques. Indeed, data access is network dependant (latency, bandwidth, etc.) that might imply reorganizing the distributed storage. The scheduling is also constrained by memory, computing power, network to ensure quality of service also for these distributed clouds of things. factories by integrating these connected elements into traditional processes. The GRECO project aims to offer a solution that takes into account the applications and services needs at the edge of the networks, to propose smart use of local and centralized clouds. Local clouds could provide an answer to confidentiality issues for personal data processing, and also to resilience and the responsiveness of the applications. With a distributed resource manager, it would be possible to organize intelligent and autonomous environments without going through the centralized data centers. This opens up opportunities for companies that operate cloud of things or in the design of stand-alone distributed environments. Tasks coordination and interaction management with funding agency ANR. The purpose of this task is to propose generic models to conceptualize (statically and dynamically) the architecture of clouds of things, and the diversity of applications that can be processed at the edge. Regarding cloud of things, static modelling needs to include sensors, interfaces, storage nodes, motherboards, networks, actuators, etc. Dynamically, we plan to map communications and the modes of interactions between connected objects. Based on the models proposed in task T1, the goal is to formulate the algorithms for tasks scheduling. The scheduling algorithms must be designed to be auto adaptive to quality of service uncertainty as well as the performance constraints specific to cloud of things (IT power, memory capacity, interactions etc.). The scheduling algorithms will be validated by emulating intelligent environments on the Qarnot radiator platform. In this task, we will investigate a distributed storage system capable of managing uncertainties related of cloud of things infrastructure (bandwidth variability, storage localisation and access, etc.) to propose more efficient data management techniques. These mechanisms will be evaluated by emulation with Grid’5000 platform and then in real conditions on Qarnot infrastructure which will serve as a test platform. Secondly, we propose to implement new interfaces to access these mechanisms through a dedicated resource manager proposed as an API. This task will consist first in integrating the results of the previous tasks to build a cloud of things resource manager. It will also be necessary at this stage to develop a rules engine for cloud of things application. Integration will be assessed through smart building and ambient intelligence emulations. Emulations will integrate the actual environments where in-situ learning will be done in order to calibrate on the following functions: presence detection, presence classification, noise classification, prediction of ambient air quality, prediction of room temperature. The project has been funded by French National Research Agency (ANR, Agence Nationale de la Recherche) through PRCE 2016 call for proposals. The project reference is ANR-16- CE25-0016, GRECO is planned over 42 months starting on April 2017.